Hi Guys..!! if you have 10th pass by a government school/institution and you have a question in your mind that if there is any job for me in the railway department or not, then read this article carefully. You will find answers to all your questions in it. We all know that every year Railway Recruitment Board releases Employment Notifications for NTPC, ALP, JE, SSE, RPF /RPSF and other vacancies for all zones. So the job hunters can surely try their luck by applying for this Railway Jobs after 10th. So interested candidates are requested to apply to this RRB Vacancies before the last date as soon as possible. The details about the latest railway vacancies and their Selection Procedure are explained below in the following headlines. Candidates who are 10th pass will also get better employment opportunities in the Railways. Age limit has also been increased for recruitment of vacant posts of RRB. Following are the eligibility criteria of Railway 10th Pass Jobs. Read carefully. Candidate should have completed 10th, National Trade Certificate in the notified trade or its equivalent qualification from a recognized Board/University. Important Note: There is also upper age relaxation for Widows, divorced women and women were judicially separated. It is given to them according to their category. Selection procedure is totally dependent on the performance of the applicant in written examination and after that candidate will be called for interview. The salary payable for all these posts is Rs 5200-20200 + Grade Pay Rs 1900 / -. It gives an employee Rs 27000 in hand and the pay scale will increase up to about 36000. General and OBC Candidates will have to pay Rs 100/-. There is no examination fee for SC / ST / PWD / Women. Examination fee can only be paid through credit card or debit card. How to apply RRB 10th Pass Jobs 2019 (Online)? Then select latest RRB Recruitment Notifications. Then click on the Online Application. Now Fill the details asked correctly. After that now upload your recent photograph along with signature. Lastly check all filled details properly before pressing submit. Finally,take a printout of RRB Registration Form for future use. Still you have any query in your mind then don’t hesitate to ask through comment box. We will be happy to answer your query. Thank you for visiting our site i.e. 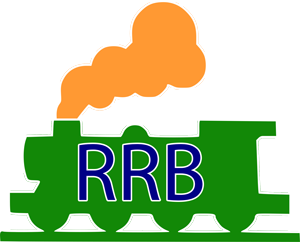 rrbvacancies.com. 1.2 How to apply RRB 10th Pass Jobs 2019 (Online)? Next articleHow To Prepare for Reasoning for the Upcoming Railway Exam?